In November of 2008, Philadelphia Mayor Michael Nutter announced that the Ed Snider Youth Hockey Foundation would take over operation and programming at three Philadelphia ice rinks that were targeted for possible closing amid the city's budget troubles. Snider founded the Philadelphia Flyers hockey team and is chairman of Comcast-Spectacor which owns the Flyers. 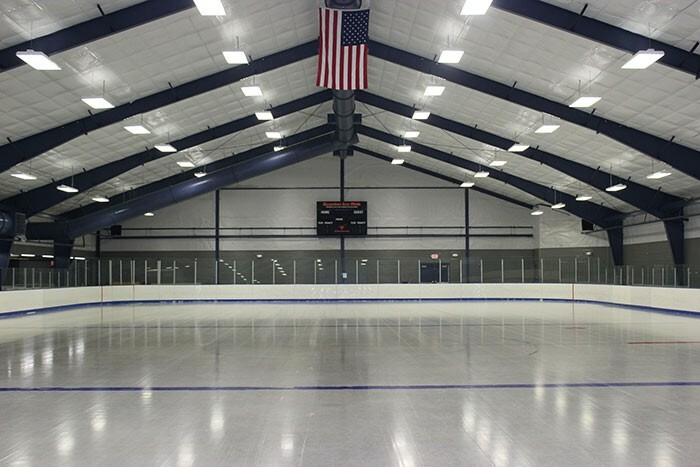 With help from the Snider Foundation, the Scanlon, Laura Sims, Simon and, later, the Tarken ice rinks have received major renovations. The rinks are now fully enclosed, operate all year and include locker rooms and computer labs. As part of the renovations, local A/V contractor, Bruce Johnson of A.V. Rental Services, Inc., installed new sound systems with Community R1-94 loudspeaker systems. "The acoustics are horrible," Johnson said, "but the system is awesome. Everyone can understand the announcements; the coverage is good everywhere and the music sounds great." Dave Howden, Community’s director of technical services, says the R1s were a good choice for these ice rinks because, as an outdoor loudspeaker, they can stand up to the humidity and temperature of an ice rink. In addition, the R1s have pattern control below 500 Hz which helps to minimize echoes and reverberation. Johnson devised custom brackets to work with the R1’s standard u-brackets and to mount the loudspeakers to the open steel framework of the buildings. 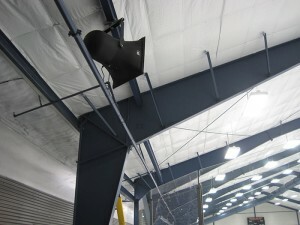 The systems in all four ice rinks were designed for simple operation with a Shure mixer and microphone and music inputs. About 2,500 inner-city kids play hockey in leagues at the rinks under the Snider Hockey Program. The program puts each child on the ice three to six days a week. Each child spends about an hour on the ice and 30 minutes each on homework and "life skills." 96 percent of participants graduate from high school. In addition, the rinks are open two or three evenings each week for school hockey games and scrimmages. Johnson says he is proud to have played a part in this very successful program.